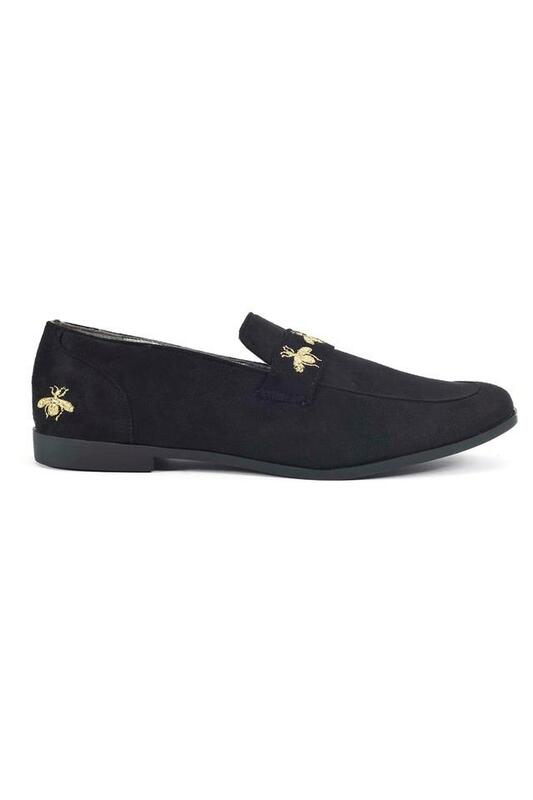 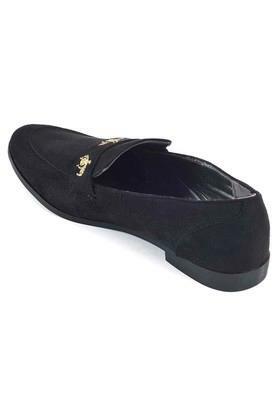 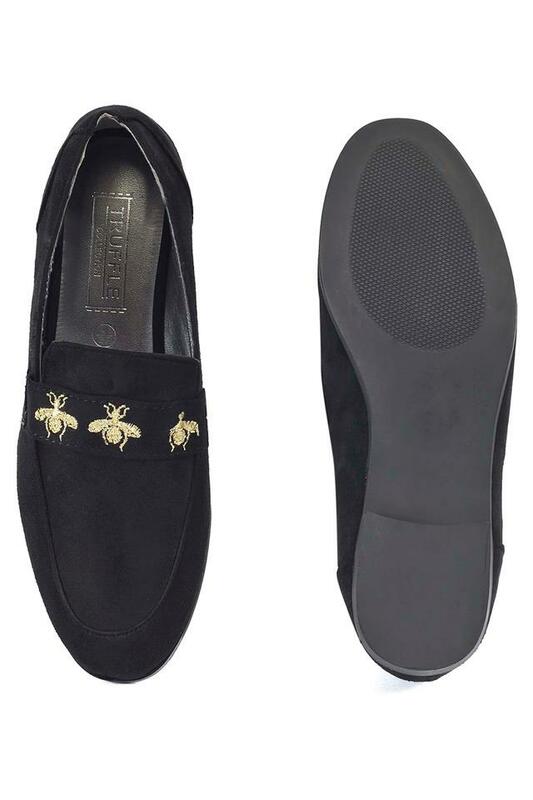 Fashioned with an embroidered detailing on the top, this pair of loafers from Truffle Collection looks very trendy. Made of suede material, it has a polished look while the use of ethylene vinyl acetate sole ensures a better grip. 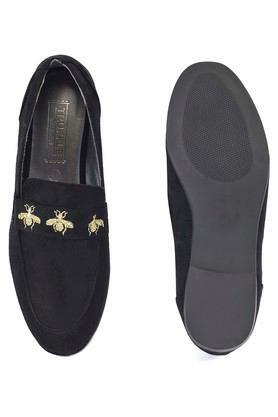 Besides, it comes in a slip on style that makes it convenient to wear while also contributing to its design. 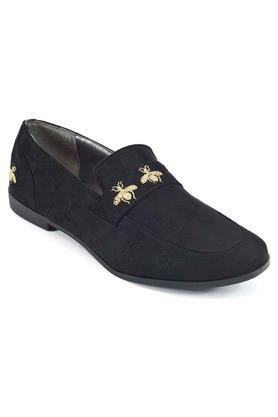 Wear this pair of loafers for any casual occasion and get complimented for your choice. Featuring a slip on style, it will look great with a jeans, pencil pants and dresses.